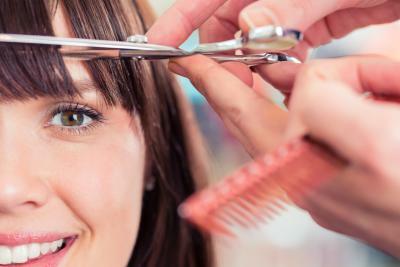 Have you ever wondered which trends to try or what to do at home to maintain that fresh-out-of-the-salon look? 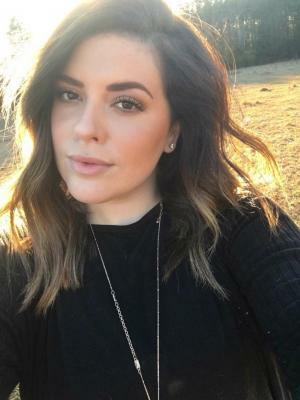 Mary Somers of Tanner Blake Salon (owned by Melanie Whitbeck) in Acworth, Georgia, shares her insight on trends, what to do between visits, and even how to handle a potentially awkward situation with your stylist. Love a fresh new look, dimension, and interest, but hate the upkeep that can come with some color techniques? Mary has good news. Babylights. "You can't go wrong with some babylights and shadow root. 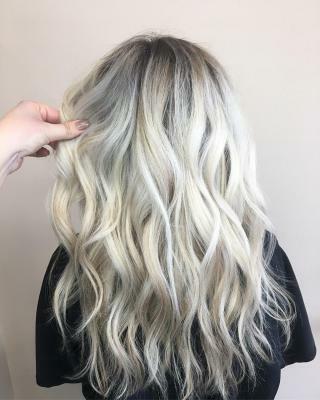 A lot of my blondes now are going more towards the babylight and shadow root look just because it gives them an easier grow-out for their blonde and doesn't really leave a harsh line where their highlights used to be," she says. Balayage. "It's just a smoother, more sun-kissed look that I think it is something that we're going to see for a while in the hair world." Why? These two techniques are what clients are constantly coming in and asking for because they're low-maintenance and in style. Beach Waves. Mary's still loving the beach waves because they give a great texture. Now more than ever, women ask for the soft, beachy wave look, so she thinks it is going to be here to stay for awhile. It's easy to do as well: it just involves your good old-fashioned curling iron and a nice texture spray. Bunt Cuts. "I also love a good blunt cut right now," she says. "I think that a shorter blunt cut is really cute and fun." Soft updos are very popular right now, according to what Mary's seen in the salon. Braids are one of her favorite things to be able to incorporate, too, for a good boho, relaxed look. Updos and braids can be complicated if you want to make them that way, and could require the skills of a seasoned stylist. However, there are lots of soft updos and braided styles that look harder to accomplish than they actually were, and you can learn to do them at home (maybe with the help of a friend, at least at first). Say you've gone to your appointment and invested in a gorgeous new style. All is great until you have to wash it, style it, and maintain it yourself. The bad news? It's going to take some effort and a little more cash than you may be used to spending if you've always been a drugstore queen. The good news is, Mary has some tips on how to manage the change. If you get color done regularly at the salon, investing in great products to help maintain your color is something that yourl stylist can't stress to you enough. It's hard for a stylist to watch clients invest in their hair color and then go and use a product from the drugstore and have it ruin their hair color. Buying salon quality products will help keep your color fresh in between those appointments. Sometimes, women may claim to know their hair better than anybody else, but it's best not to take the scissors to your own hair, Mary shares. She offers her clients a complimentary bang trim in between their appointments to help get them through till their next appointment and avoid any bang catastrophes. It's worth asking your stylist if he or she offers the same service. To get soft curls and waves, the key is finding a product that works for your hair. Not everybody's hair is going to act the same. Finding a product that best suits your hair is going to make the difference. Another tip from Mary? Mastering the art of a diffuser on the end of your blow dryer helps, too! 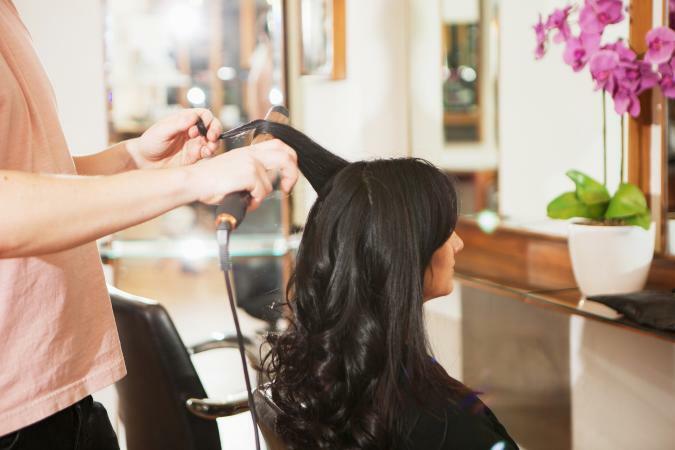 What's the one thing your stylist probably wishes all clients knew? Mary says, "I think I wish that more of my clients knew how important it is to maintain their color at home. I believe that clients get this mindset that salon hair products have become so outrageously expensive, they get scared to buy it. But it kills my heart to spend so much time and effort on some of my clients' hair and then have them not take care of it when they go home. " She continues,"I don't really like to be a salesperson when it comes to product. I just like to let my clients know how important it is to take care of what they're paying for. Your hair is an investment!" If you've ever strayed from your stylist to try someone - or several someones - new and then wanted to go back but didn't know how Mary has some words of encouragement. She says: "This has never offended me whatsoever. I look at it as me 'not being everybody's cup of tea' in life. It's okay to try other people but if somebody's coming back to you after they've tried other people, that means you did something right and they're coming back to you for a reason." Mary is excited when her clients come back, so don't hesitate if you've been dying to go back to your old stylist but feel ashamed to make an appointment. Oribe Dry Texture Spray: This spray (about $46) builds volume and texture with ease. Unite 7 Seconds Miracle Leave-in: Available for just under $30, this is a high-performance leave-in that repairs and protects. Goldwell Dry Shampoo: This quality dry shampoo (less than $20) strengthens, refreshes, and adds volume. Babyliss curling iron: These are available in several barrel sizes and start around $40. Babyliss blow dryer: These powerful blow dryers (starting at around $60) utilize advanced technology and minimize damage. For the perfect blowout, she says: "A great blowout is never going to happen with nothing on your hair. So find your favorite volume-building product and make it happen!" Hair color really depends on a couple of things. It depends on your eye color your skin tone and also what you're willing to do to invest and take care of it. "When a client is thinking about changing their hair color drastically or doing something new, we will really sit down and think about all the different factors that go into it and then decide what's best for them. Part of being a hairstylist is having that bit of honesty towards your clients. They're trusting you to give them the best advice on what's going to look good on them and what's going to flatter them," Mary says. Mary debunks the myth about curly hair and layers by saying, "I've had a couple people with thick, curly hair be terrified of layers because they've had a botched haircut and they're scared they're going to end up like a mushroom head." Many women are convinced that if they have curly hair or thick hair, they can't have layers. Mary says women should find a stylist "that you feel like you can communicate with and that understands you and your hair needs. There are some hair myths that seem to have been floating around for ages, like thin hair should always be kept short and curly-haired girls can't have certain types of cuts." The key is to find a stylist you trust who will guide you toward the right decision for your features, hair, and level of upkeep you're comfortable with. Try scheduling a consultation ahead of time instead of taking a risk if you're going to someone new. See how well they seem to listen and the type of advice they give. What are they taking into account regarding your features, your lifestyle, and how often you're willing to go back to the salon for maintenance? What types of questions are they asking you and how well are they answering your questions? Mary has been working in the hair industry for six years and it's the only thing she has ever wanted to do. "It's more than just a 9-5 job to me. It's my passion! Each client means the world to me and I couldn't imagine doing anything else. I'm grateful for each and every person that sits in my chair." Check out her work on Instagram at @tannerblakehair.